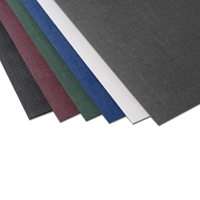 Our Deluxe Linen Report Covers are one of our most popular cover stocks. It is an 86 lb. 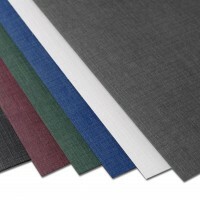 bond, heavy-duty, durable cover stock with a linen-texture finish. Check out our "Document Customization" tab for more details regarding the custom work we offer on our cover stock.